An idea that began in the hearts of a group of Samford University graduates has resulted in an endowed scholarship fund to assist Missionary Kids (children of missionaries) who attend the school. The Bill and Audrey Cowley MK Scholarship honors the former career missionaries who over the course of three decades were surrogate parents to scores of MKs attending Samford. The Cowleys served in Nigeria for 23 years before he began a 16-year tenure, 1977-1993, on the Samford religion and speech faculty. In 1979, Audrey Cowley became national treasurer of Woman’s Missionary Union, which has long offered moral and other support to MKs. The genesis of the fund was a gathering of adult MKs at Samford Homecoming in 2012. A highlight of the weekend was a chance to visit with the Cowleys, who had provided home-away-from-home support for many of them during their college years. After word spread that the Cowleys were being honored with a named scholarship, contributions began to arrive from far and near. In spring 2014, the scholarship fund became part of Samford’s Legacy League roster of scholarship funds. As the generosity of givers continues, Samford will soon be able to award Bill and Audrey Cowley MK Scholarships to deserving students. The Cowleys were naturals at nurturing MKs, who at one time during the 1980s numbered almost 100 at Samford. For several years in Nigeria, the couple taught in a school that enrolled many missionaries’ children. They raised two daughters who studied at Samford: Carol Cowley, a 1978 graduate; and Karen Cowley Bergquist, a 1980 graduate who married John Bergquist, also an MK and a 1981 Samford/1992 Cumberland law graduate. Their helpfulness included many trips to the airport for pickup or delivery and care-giving in medical emergencies. And, perhaps as important, was their understanding of the challenges the MKs faced when transitioning between cultures. “More often than not, they experience culture shock when they come to the States,” said Cowley, citing technology, American affluence, and differences in faith and lifestyle of American Christians and churches, among other factors. Their legion of admirers includes 1978 Samford graduate Kevin Reece, who knew the couple in Nigeria and at Samford. “It’s difficult to express the magnitude of the impact the Cowleys have had on me nearly my whole life,” said Reece, who first felt the influence of their faith and dedication to missions during his youth in Nigeria, where his parents were missionaries. “During my years at Samford they were instructors, caretakers, surrogate parents and advisors to me and all my fellow MKs. Since then, the Cowleys and I have enjoyed a great working relationship on a variety of programs and events,” said Reece, who lives in Huntsville, Ala. 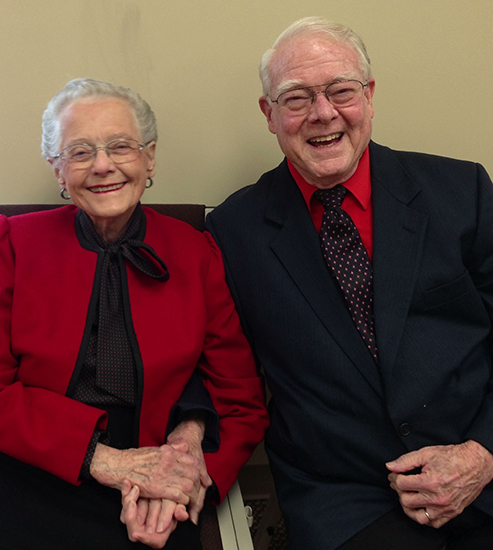 The Cowleys, who will celebrate their 60th wedding anniversary on Sept. 3, hope that the scholarship will provide opportunities for more MKs to attend Samford. To contribute to the fund, go to www.samford.edu/legacyleague, click on “donate,” and follow the prompts to connect to the Legacy League’s Bill and Audrey Cowley Missionary Kid Scholarship. All gifts are tax deductible. For more information, call (205) 726-2247 (205) 726-2247 or email ssmith12@samford.edu.